It is no secret that business is tough and, if you want your brand to stand head and shoulders above the rest, you need to invest in your employees. And one very effective way of doing this is by spoiling them with a year-end function they will never forget. As one of the most important events of the year, a year-end function means so much more than just toasting to a better year ahead or thanking employees for their hard work. Year-end functions also serve as an excellent opportunity for business owners to communicate their message, strengthen employee relationships, and motivate and boost sales at the same time. But, are you just not up for a repeat of last year’s year-end office party where a few people had way too many and ended up embarrassing themselves – and you? Or are you trying to avoid another 5-hour luncheon or dinner where the boss talks for an hour, hands out a few awards and gets a speaker to close the dinner with a talk that leaves everyone yawning and ready for bed? Well, instead of the usual, “been there, done that” year-end functions, perhaps it is time to try something completely different and unique this year. It is time to spoil your employees at one of the year-end function venues at Acrobranch! 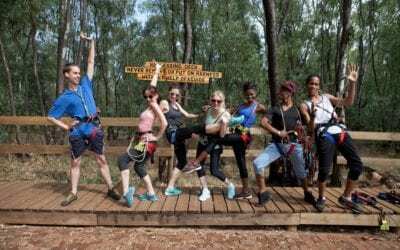 At Acrobranch, we believe that a strong and productive workforce means a happy and healthy workforce and, if there is one way to put some joy and excitement in your employees’ lives, it is with a day ziplining at an Acrobranch Adventure Park near you. 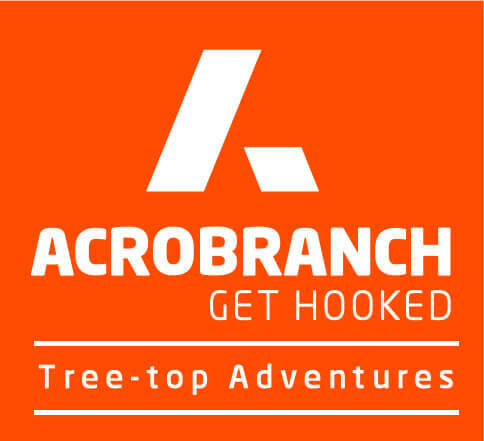 A global phenomenon that has already become a permanent part of many corporates’ annual team-building events and year-end functions throughout South Africa, Acrobranch offers seven world-class zip line year-end function venues that are nationally known for offering employees a chance to escape the corporate world, laugh, and have loads of fun as they get to glide like a bird from tree to tree with the wind in their faces. As the largest ziplining adventure park family in the country, we have gained tremendous experience in hosting all types of corporate functions and have even hosted events for some of South Africa’s biggest and most prominent brands. As the fastest growing corporate eco-adventure to hit South Africa, not only do we offer year-end function packages that include welcome drinks, a dedicated host who will capture your event on camera, and all your catering, but we also offer frequent discounts on our year-end function packages at any one of our Adventure Parks that can be found at Muskie on Honingnestkrans Street in Pretoria North, Rosemary Hill in Pretoria East, at the Big Red Barn on the Sunlawns Estate in Centurion, at Melrose Park in Johannesburg, at the Huddle Park Golf and Recreational Park in Linksfield in Johannesburg, in the Constantia Nek forest in Cape Town, and at Acrobranch Wildwoods at the Timberlake Organic Village along the Garden Route. To learn more about our year-end functions or to spoil your employees this year, give us a shout or make a booking with us in good time and you may qualify for a discount.